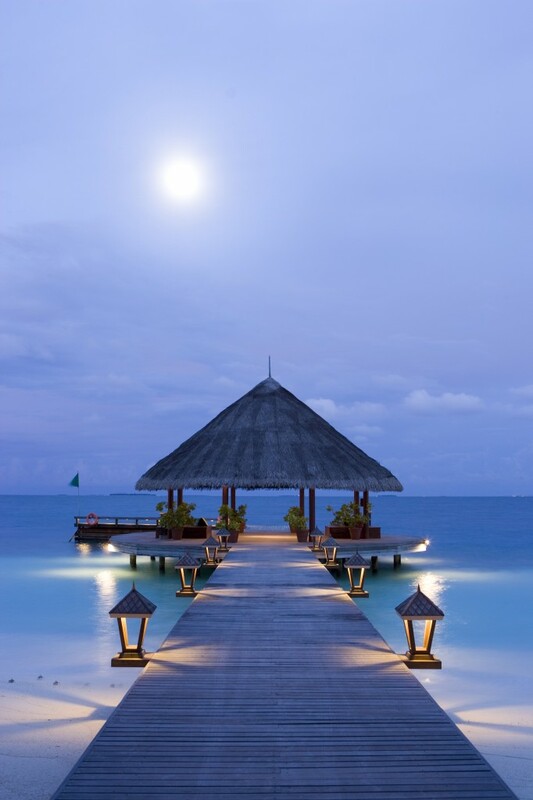 One of the most picturesque islands in the Indian Ocean, Ihuru is an exquisite tropical paradise waiting to be discovered. 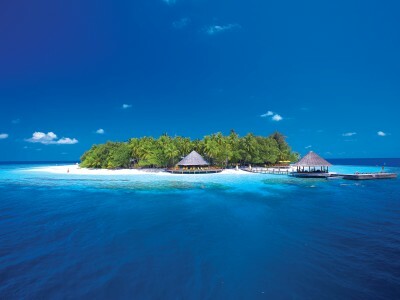 Blessed with palm-fringed beaches, crystal clear waters and pristine house reefs, the eco and guest-friendly retreat is located on the North Malé Atoll, just 20 minutes by speedboat from Malé. 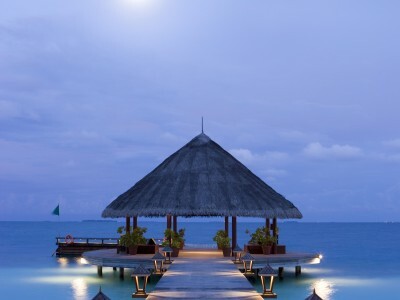 Blending splendid villa living, holistic spa pleasures and ecological adventures, Angsana Maldives Ihuru also offers eco-conservation programmes, escorted snorkeling safaris and reef excursions for a truly unforgettable holiday. Transfer type: 20 mins from Airport by speedboat. 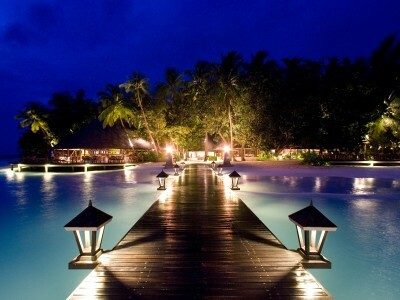 Dive into Paradise with Angsana Ihuru! 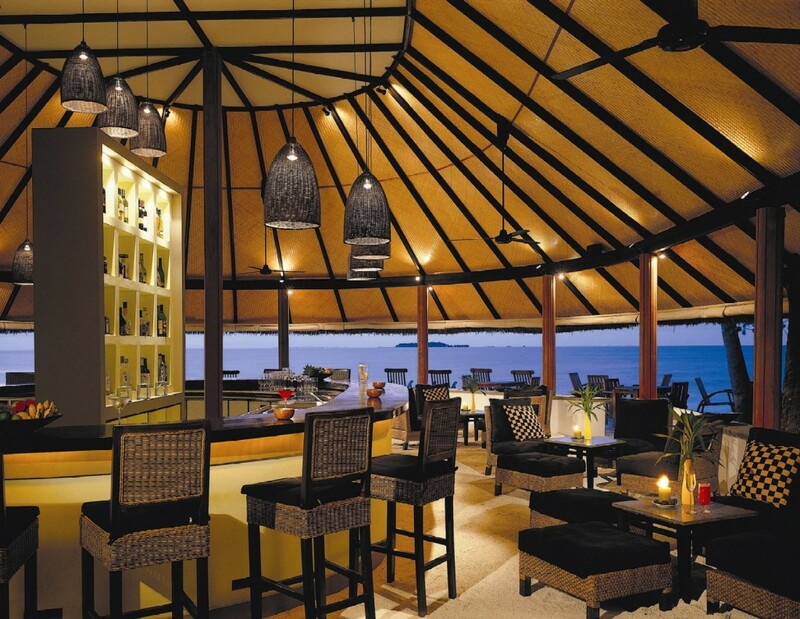 Friday, 19th December 2014 14:30hrs – 17:30hrs Snorkelling Safari on the Catamaran Kahan’bu 15:00hrs – 16:00hrs Maldivian Cooking Class in Riveli Restaurant 16:00hrs – 18:00hrs Christmas Tree Decorating in Riveli Restaurant 18:30hrs – 20:30hrs Night Fishing *All activities are subjected to weather conditions and availability & some are subjected to surcharge. Each of the 57 sqm Beachfront Villas is located right on the beach of the beautiful coral island, offering breathtaking views of the sparkling Indian Ocean from your own verandah. 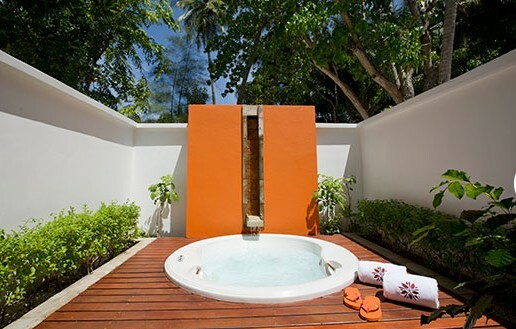 Nestled amidst lush foliage, the outdoor bathroom offers absolute privacy while the well-appointed bedroom offers respite from the days’ activities. The Beachfront Villa includes a verandah with a dining table and chairs and an outdoor swing for leisure and relaxation by the beach. 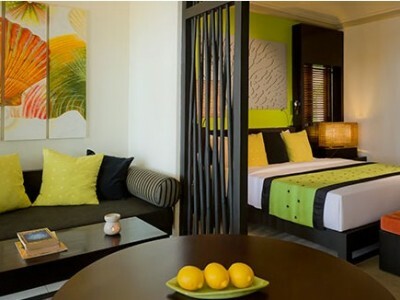 The bedroom is equipped with a king-size bed, an indoor lounge area with extra bed as well as a dining table. 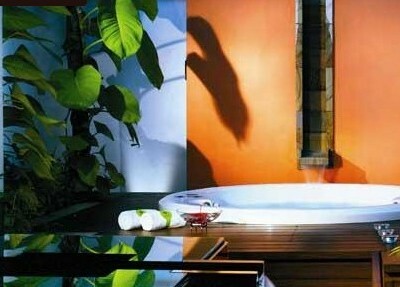 The villa also comes with a private garden area with an outdoor shower. 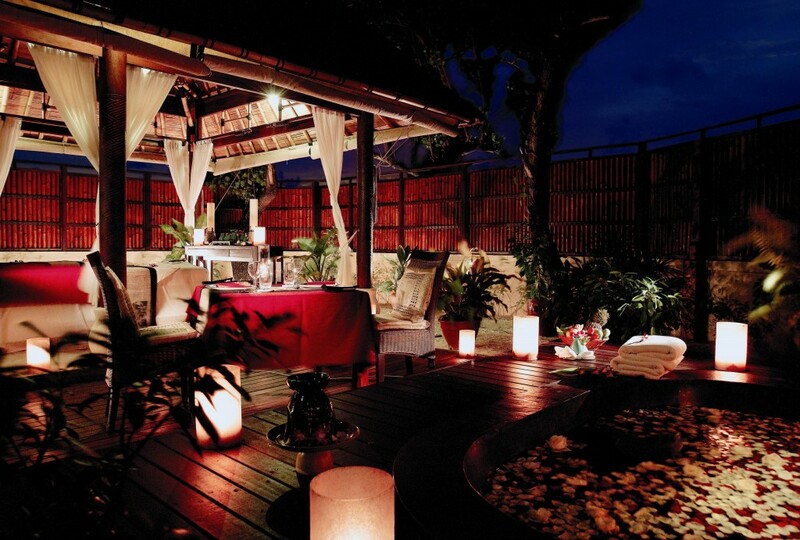 The Beachfront Villa can accommodate a maximum of 4 persons, and up to two extra beds. 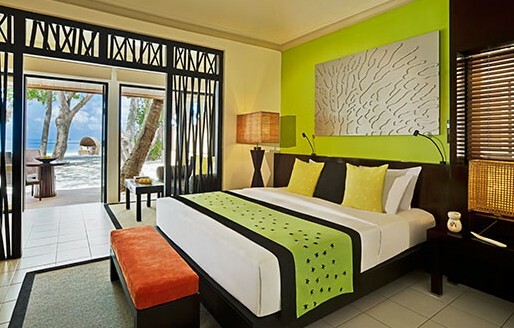 Each of the 68 sqm Beachfront Jet Pool Villas is located right on the beach of the beautiful coral island, offering breathtaking views of the sparkling Indian Ocean from your own verandah. 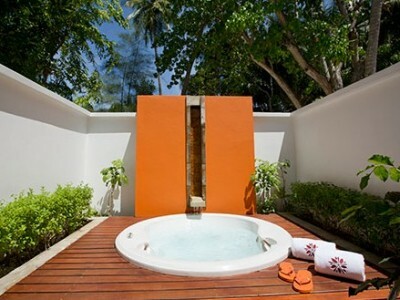 Nestled amidst lush foliage, the outdoor bathroom offers absolute privacy while the well-appointed bedroom offers respite from the days’ activities. The Beachfront Jet Pool Villa includes a verandah with a dining table and chairs and an outdoor swing for a leisurely read by the beach. 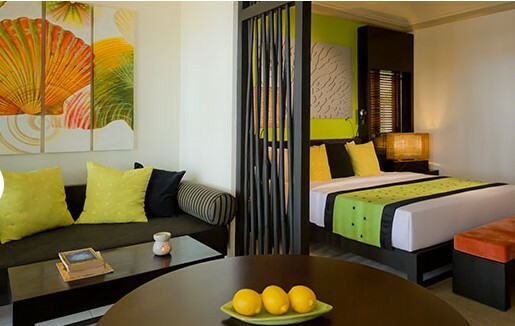 The bedroom is equipped with a king-size bed, an indoor lounge area with extra bed as well as a dining table. The villa also comes with a private garden area with an outdoor shower and a jet pool.The Beachfront Villa can accommodate a maximum of 4 persons, and up to two extra beds. 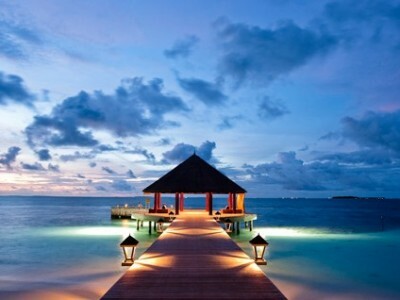 Riveli’ means ‘beam of light’ in Dhivehi, the national language of Maldives. 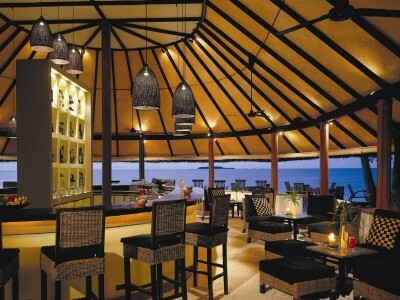 Enjoy the fusion of Asian, Mediterranean and Maldivian cuisine. 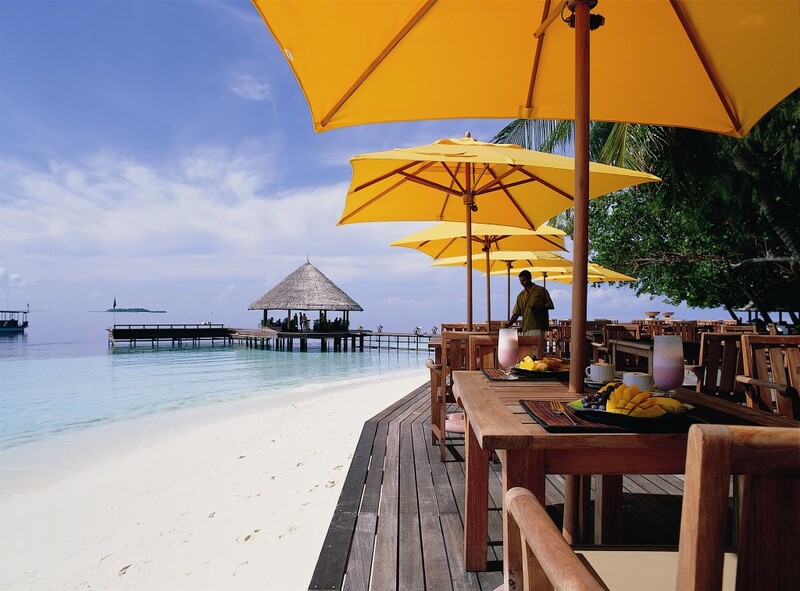 Choose your preferred meal and ambience – buffet or set dinner, indoors or alfresco. Opens daily from 09:00 am till 1:00 am. 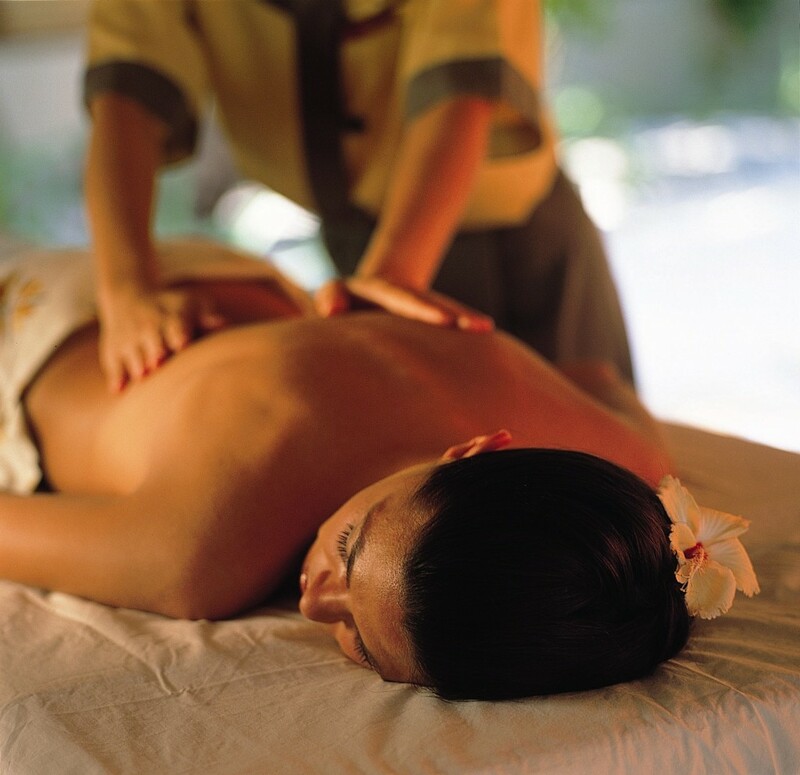 In 1994, the Banyan Tree Phuket pioneered the tropical garden spa by introducing Oriental therapies that focus on spiritual, mental and physical harmony. 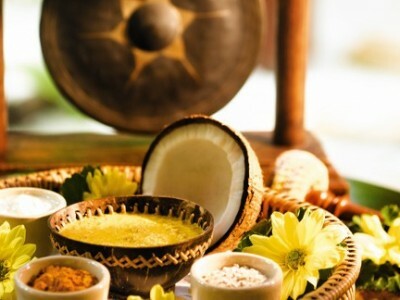 Angsana Spa Ihuru distils these practices passed down the generations. 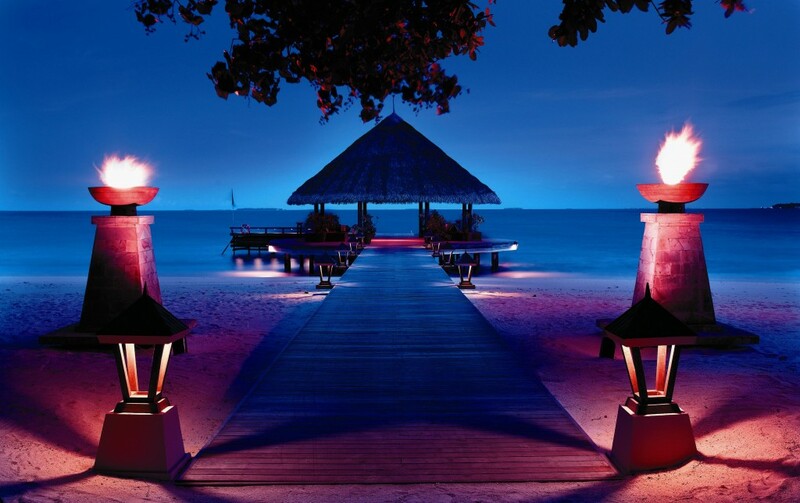 Get pampered by experienced therapists in the backdrop of palm-fringed beaches and crystal-clear waters. 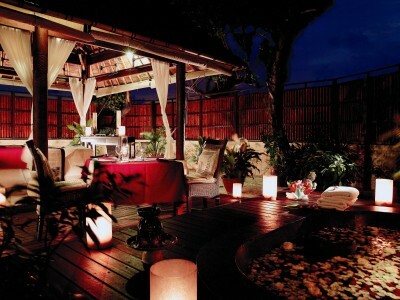 Indulge in a delightful menu of time-tested spa treatments under the skilful hands of the Angsana Spa therapist. Calm your mind and draw in the serenity of your surroundings. Allow our therapist to offer you a soothing foot wipe, herbal drink and a few minutes to leave the cares of the world behind. 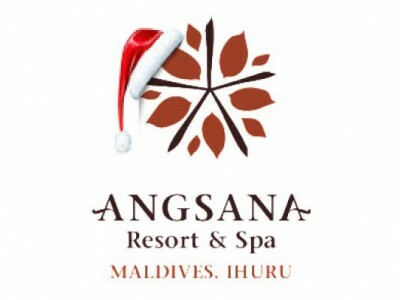 Angsana sessions include a Calm Time. Enjoy the difference. 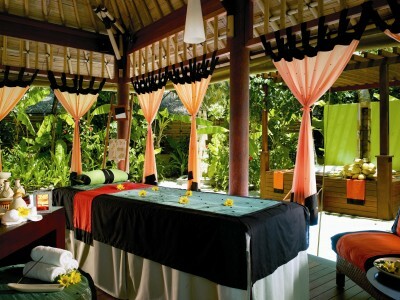 Spa Tip: Be pampered by a series of Angsana Spa treats. Spa Tip: A perfect remedy to soothe sun-exposed skin. 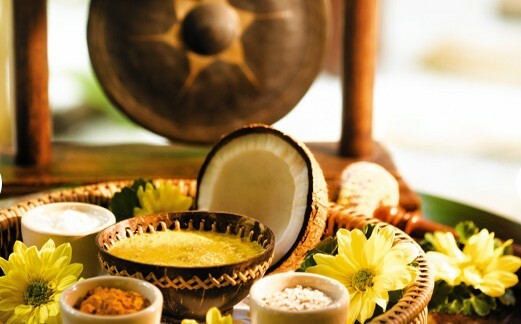 Spa Tip: Experience the holistic system of healing which originated from ancient India. 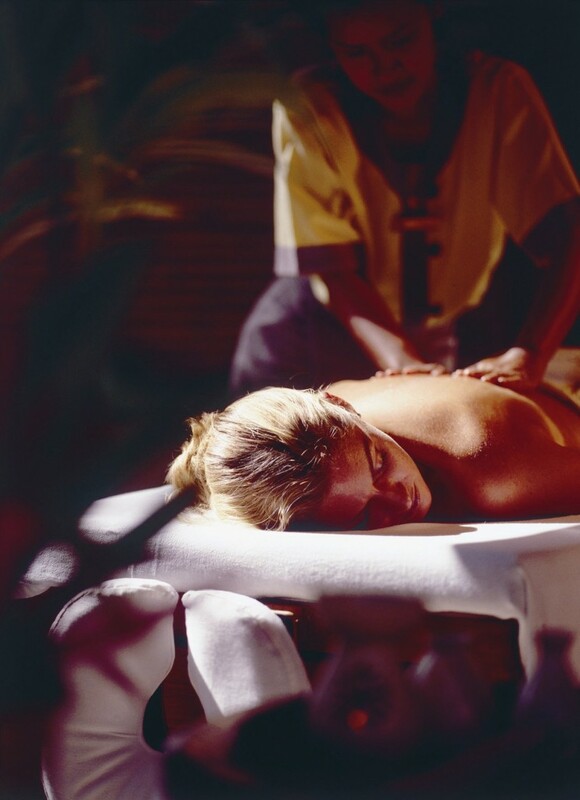 Spa Tip: Personalise your spa package with your choice of body polish and massage combo to create a healthy glow. 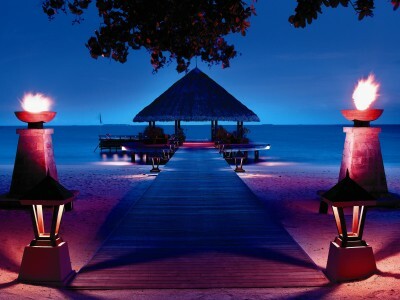 Angsana Ihuru is home to more than a few outstanding marine biology research initiatives. 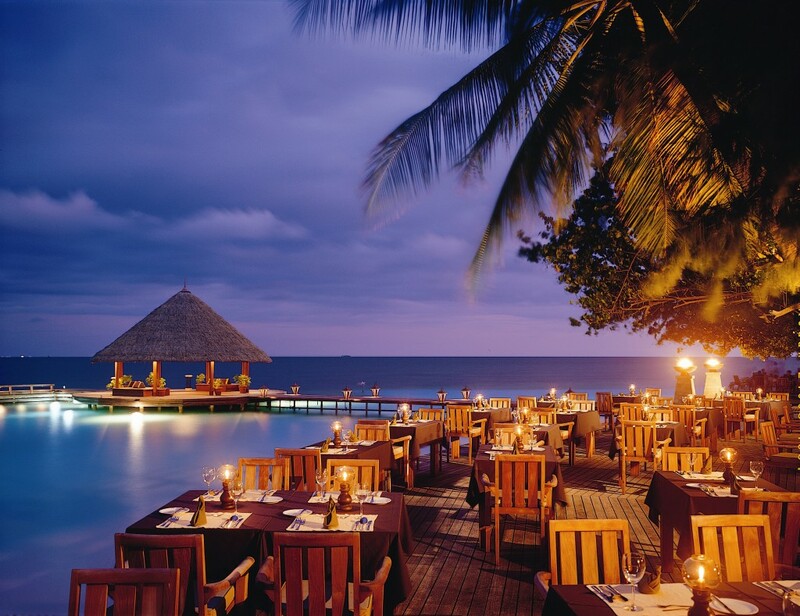 Prepare to be surprised by the underwater ecosystem shared by Angsana Ihuru and Banyan Tree Vabbinfaru. Join hands to protect our marine ecosystem. Angsana Ihuru has pioneered marine biology research initiatives. 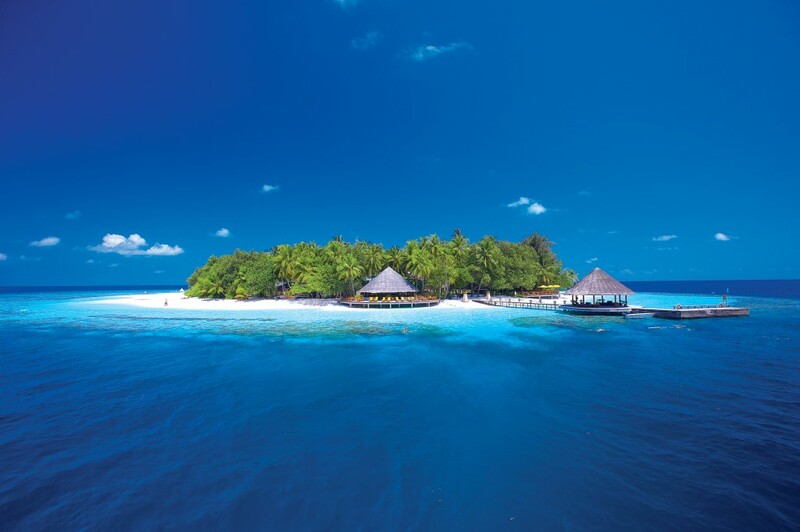 We were honoured with the first Maldivian Environment Preservation Award in 1996 and the President of the Maldives Green Resort Award in 2002. Help our Marine Lab and Dive staff remove litter and save our reefs from predators. Our Marine Lab’s Barnacle is a volcano-shaped steel structure that ensures the sustainability of corals within an experimental reef. In the past decade, 60-80% of corals have survived the rising sea water temperature in the Barnacle. Our Marine Lab undertakes research to protect Green Sea and Hawksbill turtles from extinction. The staff cordons off turtle-nesting sites and raises hatchlings in lagoon pens. Before turtles are released, they are fitted with titanium flipper tags and satellite transmitters to monitor their movement and behaviour. Explore the depths of the ocean. 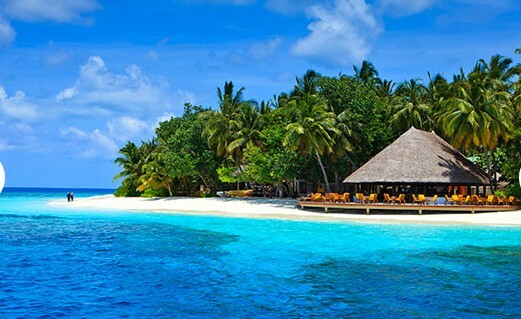 Boasting one of the best house reefs in the country, Ihuru is the perfect place for snorkeling and scuba diving. Hulhangu Kandu is located at the corner of an outer reef adjoining a channel. Since the reef is not in one line, the current keeps changing. The reef slopes from 7-10 meters to more than 50 meters. Begin your dive at the edge of the reef into the deep blue of the ocean till the current takes you to the front of the reef. Watch a large school of gray reef, silver tip and white tip sharks circling the deep waters. As you look up towards the surface, spot eagle rays swimming alongside tunas and barracudas. Nassimo Thila is one of the best sites for soft corals and marine life in the North Malé Atoll. The oval shaped reef begins at 10-15 meters with several large pinnacles of soft corals and reaches a depth of 18-25 meters. The rocks are exposed to the full force of the current, resulting in a spectacular display of soft corals on the rock faces and overhangs. On the north of the reef between 15-22 meters are beautiful overhangs of yellow and blue soft corals. At the southern end, the overhangs are filled with soft corals and sea fans of various sizes. You can spot napoleons, large tunas, sharks, bigeye trevallies, black snappers, and nurse sharks. You need to be an advanced diver since the strong current presents a challenge for diving. Dhon Bibi Haa is a circular reef located in the inner atoll approximately 30 minutes from Angsana Ihuru. The reef starts from 3-4 meters and extends to 60-70 meters in diameter. It has a depth of 25-30 meters. The most fascinating part of the reef is the top and coral blocks where you can watch frogfish, stonefish and lionfish. You may also spot ribbon eels. As the reef is protected from strong currents, it is an ideal dive site for different skill levels of diving. Kuda Haa is a protected marine sanctuary that resembles a two-humped camel. The reef slopes from 6 to 35 meters below the sea and is covered in sponges and corals. Watch schools of blue-striped snapper. Basslet, fusilier and butterfly fish glide in front of you, while sharks hover in the shallow areas. You may even be lucky to spot moray eels, cleaner shrimp, and the rare scorpion and leaf fish. Lankan Manta Point, a world-renowned site for manta rays, is located off the reef of Lankan Finolhu. You can spot these majestic creatures from a depth of 8 to 22 meters on the southeast corner of the reef around large rocks during the southwest monsoon. The reef begins at 8 meters and slopes gradually to 30 meters. During the southwest monsoon, when plankton thrives, manta rays converge at rocks that serve as ‘cleaning stations’ for cleaner wrasses to shed old skin and parasites. Thereafter, the manta rays swim up and down the reef as they feed on zooplankton in shallow water. The manta rays remain at the ‘cleaning station’ and circle around divers. Explore our house reef, ideal for both beginners and experienced divers. We also provide training to improve your diving skills. 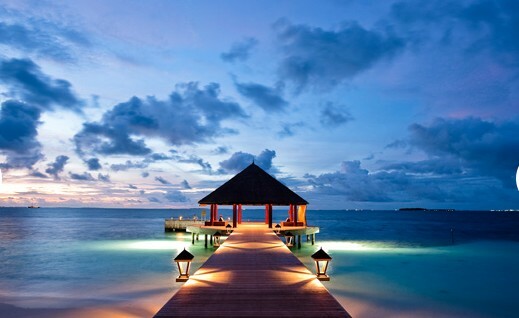 •	Amazing resort! 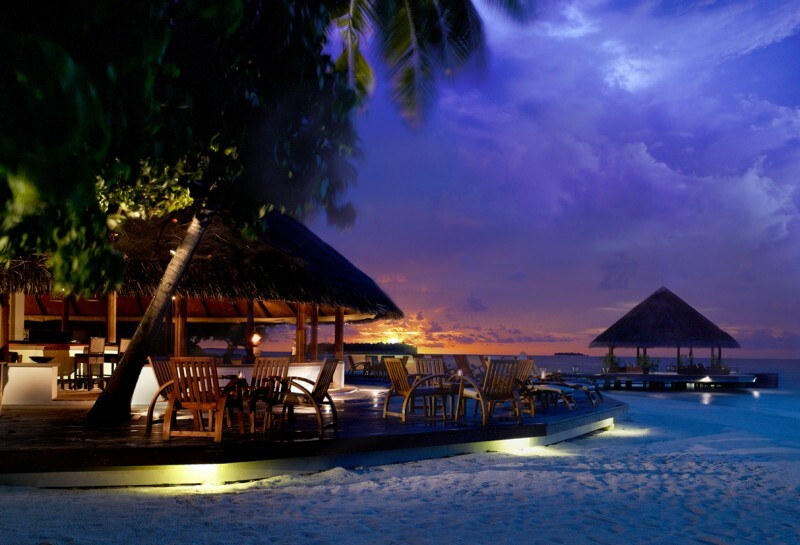 Service, food and staff – all is amazing! 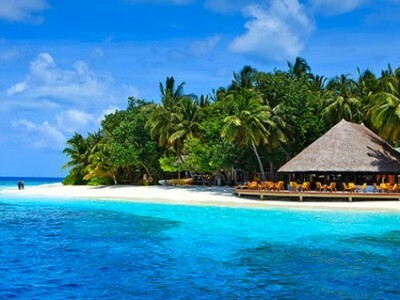 Small Islands.Very quiet,very private.Snorkelling good quality.Green territory.Possibility to use both islands and come from one to another with a boat.Spa treatment is MUST.Banyan Tree V. has more evening entertainments(feeding turtles,stingrays).Eco friendly resorts. Service is very friendly,warm and smiley.Territory is small, actually there is only a restaurant,a bar and a spa.No public swimming pool.Food is delicious and mostly meditarinian.Coral reef is very close to beach.Sometimes not very comfortable for swimming.Generally resort is perfect for relaxing holidays for families and couples.Free boat to neigbour hotel Banyan Tree Vabbinfaru. Our favorite hotel. It’s must be start for our tourists. Small hotels. Small island. They could organize excursion to Banyan Tree. -If you want a place to chill out and be pampered and served with courtesy this is it.